Spotify inched a little closer to owning the whole music streaming market today. 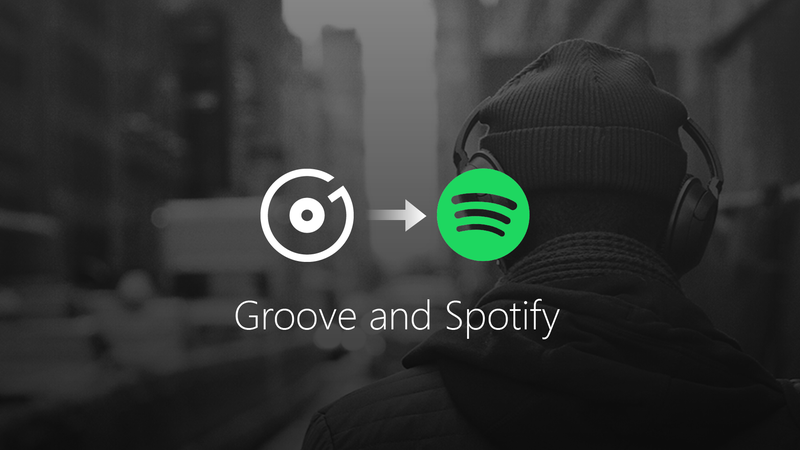 Microsoft announced that its own subscription streaming service, Groove, will be mothballed and that it’s arranged a partnership to move you Groove-lovers into a safe zone with all your tunes. According to a release from Microsoft, an update will be available in Windows 10 next week that will make it pretty easy to move over all of your playlists into a Spotify account. For Windows Insiders, the feature will be available this week. You can read detailed instructions on how the migration is executed right here, but it’s basically just: log into the Groove app when the update drops and follow the instructions that pop up. Groove’s subscription service will shut down on December 31st. There’s also an FAQ with more details for users who have an annual subscription. Because it’s built-in with Windows, there are probably plenty of people out there who are using Groove to manage their local music. There’s no shame in that, once you get into a system, it can be hard to move out. For now, Microsoft says it’s still going to support the Groove music player for use with music on your hard drive, it’s only dropping the streaming subscription. Still, for the sake of convenience, you’ll probably just want to move your local files into Spotify as well. It’s a humble end for Groove, which originally started as Xbox music before getting a hip rebranding. It was a fine app, just fine. But it wasn’t strong enough to compete with Spotify. According to a recent survey from Edison Research, Pandora is still leading the streaming pack. In the fourth quarter of 2016, Pandora reported its user base had reached 81 million people. But it’s still considered a dark horse in this race because it hasn’t managed to convert its free users into paying customers. Spotify is number two in the market and isn’t making money either, but it does have 60 million paying subscribers and is generally considered the cooler service. Of course, Apple is coming up from behind with 27 million paying users, and impressive year-over-year growth on its Apple Music service. Feel free to write a sonnet about Groove’s interface or scream at Microsoft in the comments below.